I intended to work on the porch over the long weekend, but didn’t get around to it. As I was sitting around yesterday, I just went outside to pull some weeds. I have Canadian thistles in my garden. They are some of the scariest, awfullest weeds I have ever encountered. 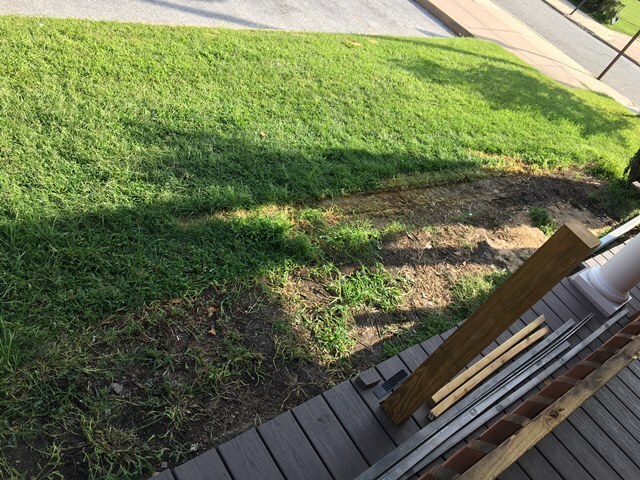 After I pulled the weeds, I was dirty and sweaty, so I decided to clean up the area around the front porch a little. There have been some extra boards in the grass. I picked them up. I should say “we” picked them up. Denis helped. I was glad. Some of the boards are twenty feet long. I think the bank will be glad to see my clean yard. Denis has been working on the lattice that covers the bottom part of the porch. The lattice is PVC, just like the floor. It looks awesome! The panels are custom-cut to fit. While cleaning up, I made some unusual discoveries. 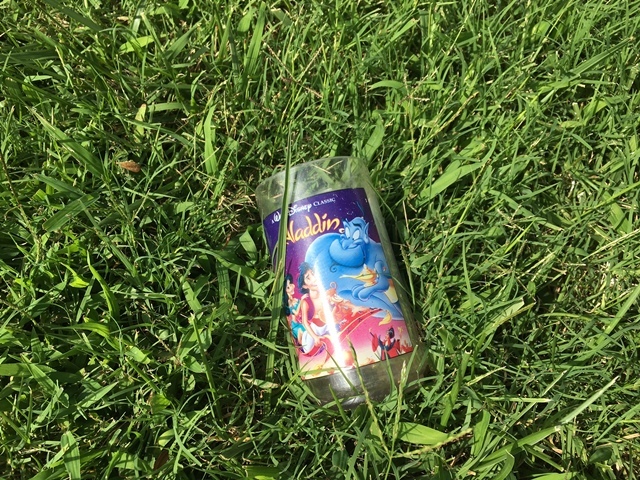 On my front lawn, there was a collectible Aladdin cup from Burger King. It seemed a shame to just throw it away, so I brought it inside to wash it. I have no idea what to do with it. The other discovery made me laugh. 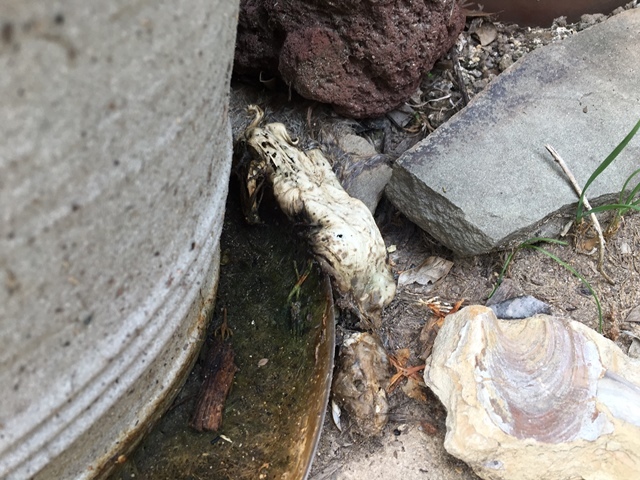 A couple of weeks ago, I kept smelling a dead animal by my back yard gate. I thought one of the neighborhood cats had caught a bird. I looked and looked for it. I never found it until yesterday. It wasn’t a bird. It was a rat! A pretty big one too. All that is left is bones and some dried skin and fur. I’m not sure what to do with it. I just left it there for now. I should probably move it though. Unless…. maybe I could use it as a garden decoration for Halloween. I did talk to a woman this summer who loved doing a garden pot filled with Halloween-themed plants. This would be a perfect addition! 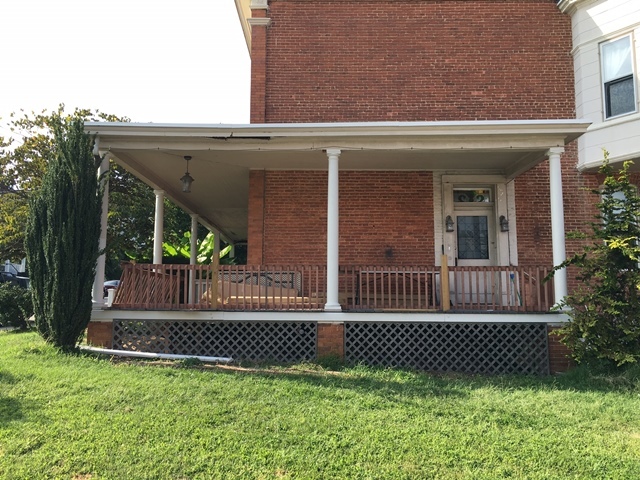 This entry was posted in Gardening, Projects, Repairing the Porch. Bookmark the permalink. The porch looks nice. The rat does not. Ewwww! That rat picture was like one of those Magic Eye things – I couldn’t see its shape right away. Now I’m sad I can. Ya, now I’ve got Prince Ali stuck in my head, too. Thanks for that. The porch, however, keeps looking better and better.